Custom Imprinted My Favorite Bank Coloring Books are ideal for teaching kids the idea of sharing money. Banks, schools and other kids’ brands can also make the most of these custom watercolor paint coloring books to create a good, reliable and responsible brand image. Give away these kids promotional gifts to the parents or just keep them in waiting rooms and classrooms. 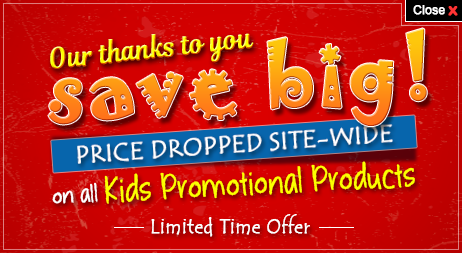 7" x 1 3/4" imprint area, 16 pages of total fun and informative messages and 8" x 10.5" total size are also features of these promotional products for kids. Order fast to gain our free online proofs and free artwork design services. 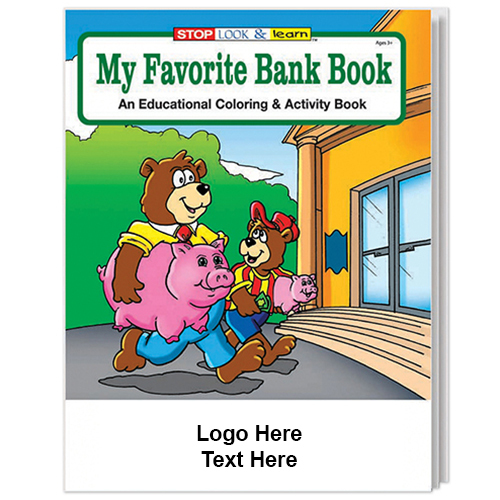 Request a quote to know what you can save on ordering these Custom Imprinted My Favorite Bank Coloring Books in bulk.